There are designated smoking rooms throughout the airport Terminals. No details at present. 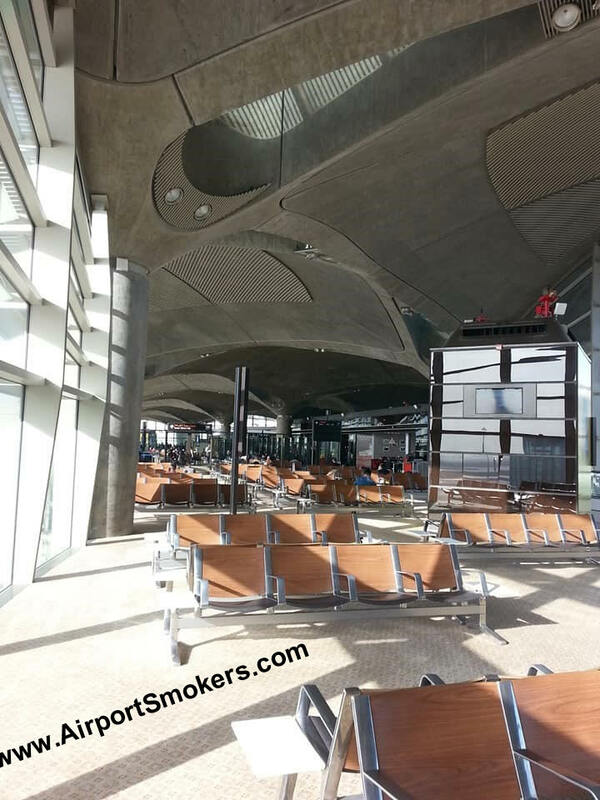 Update: Amman airport AMM does have smoking facility, I found one by gate 118, and the airport has signs. There might be more, but this is what I found. 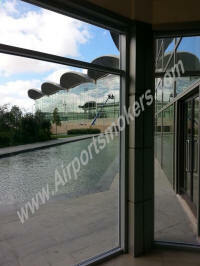 I would not take pics inside because of other people in there- but it is on the right in the pic. See below. 80% of the population in Jordan are smokers, so not much restrictions...Yet. Update from Thais K. on the 17th Jan 2019. 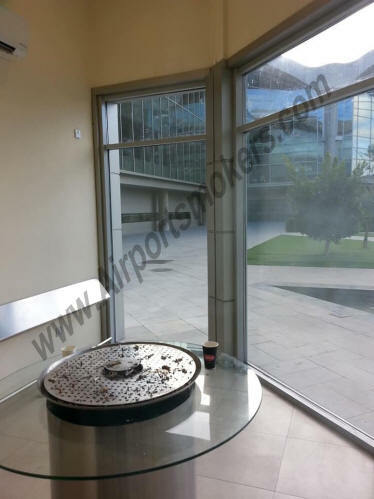 Update from Uta on the 2nd August 2018, there is a smoking area in the business lounge.